WELCOME TO WEEK 3 OF THE 2017 NFL SEASON!! Only three weeks into the season. We have teams still looking for a win and teams that are just rolling right along. This week has the leagues first game in London for the season. Let the NFL give you your wake up call this Sunday morning! Let's get into the games and see what predictions I have in store. GOOD MORNING, LONDON!! The first overseas game of the season is this Sunday. There will be some great defense played by both teams, if the Jaguars can play like they did against the Houston Texans in week 1. Jags quarterback, Blake Bortles, is not quite a superstar, but Ravens quarterback, Joe Flacco, is showing flashes of past brilliance. 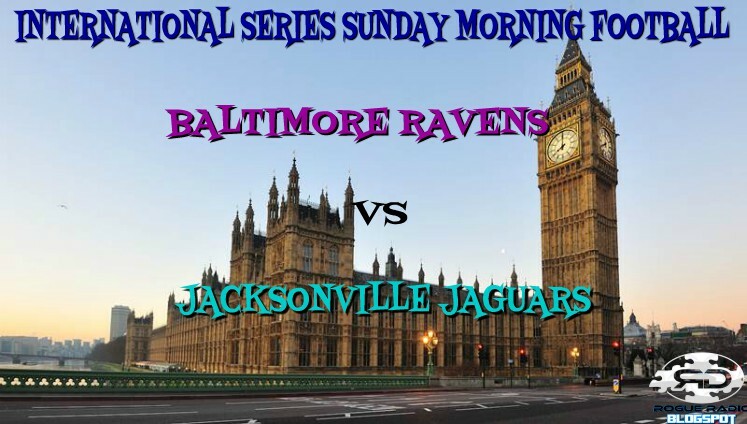 The Ravens will celebrate a win on the plane ride home, while the Jags will be licking their wounds. Who would have thought that Broncos quarterback, Trevor Siemian, would be playing like a man on fire this season? Looks like he and the rest of the boys will be taking their show to Buffalo. This will be another game between two battle tested defenses. Do not look for a lot of scoring opportunities for Tyrod Taylor and company. Let's give the win to the Broncos here. One team needs a win. The other needs to prove that their wins are not a fluke. The Saints are not the defensive juggernaut of old. Even with veteran quarterback, Drew Brees, at the helm, they just cannot get over the hump. On the other hand, the Panthers are winning in spite of their quarterback's, Cam Newton, play. Although the Saints are desperate, they will not go home happy campers. Panthers will win at home today. Lions and tigers and bears......OH MY! Another 2-0, 0-2 matchup. Can it get any worse in Chicagoland? Why, yes. Yes, it can. Pittsburgh has everything clicking on both sides of the ball now. There is nothing the Bears have that can matchup against the Steelers defense. Bears quarterback, Mike Glennon, is who coach is sticking with, and quite honestly, what choice does he have? Only the Steelers tripping over themselves will have them losing the game. The Bears will remain winless after today. For the Falcons, Detroit is not last week's Packers. For Detroit, the Falcons are not last week's Giants. That being said, Detroit's defense will be tested against a Falcon offense that seems to have some of the quickest receivers and running backs in the business. Atlanta quarterback, Matt Ryan, will not put up the big score that he did against Green Bay last week, but they will take the win on the road this week. Someone will lose. Someone will win. The Colts continue with stepping on their own toes. There is truly not much to say about this matchup other than the fact that one team will leave 1-2. That team, in my opinion, will be the Cleveland Browns. Ok.....so Case Keenum will take over the driver's seat for the Vikes. That is like giving the Bucs a free lunch. It will almost be a repeat of the Bucs last week meeting with the Chicago Bears. If the Minnesota defensive line can endure all the time they may be on the field, they might be able to pull out the win. Looking at the big picture, the Buccaneers will have a repeat performance of last week bringing home the W.
The Patriots are home again. It will not be the score fest like the game against the Saints last week, but the determination will be there. The Texans defense has J.J. Watt this season unlike last year when they faced the Patriots in the playoffs. They have the ability to get at Tom Brady. Will that be enough to stop the Patriots? Afraid not. Brady and crew have a chip on their shoulder. The Texans will not knock it off. Look for the home team to make it right at home this week. The Jets have very little to speak of on the offense side of the ball. To this point, the 'Phins could get take advantage. At the same time, that win that they eked out against the Los Angeles Chargers last week could give the Jets an opportunity to steal one at home. 'Phins fans no need to worry this win's for you. This meeting could determine just how deep one team could be at the bottom of the division. With a mediocre offensive line, Giants quarterback, Eli Manning, is underperforming. It is pretty bad when your favorite target comes back less than 100% to try and help get a win. If the Eagles play their cards right and put their running game in play, they might be able to keep the Giants last in the division. Eagles soar while the Giants fall. The Legion of Boom is still the stuff legends are made of. This may have to be enough against a Titans squad led by Marcus Mariota. If the Tennessee defense can keep the 'Hawks offense off balance, there is no reason why they cannot walk away with the win. The 'Hawks are built for games like this with Russell Wilson behind the wheel making plays. In a tough game, the W goes to Seattle. Whether the Bengals start Andy Dalton or A.J. McCarron at quarterback may not make a difference against the Packer at Lambeau Field. Even with a shaky secondary and some offensive line injuries, Discount Double Check, Aaron Rodgers, does not lose at home. The Bengals are in turmoil and the Packers will take full advantage. Packers will take a Lambeau leap this week. Back to my "almost won" team, the Los Angeles Chargers. These types of losses weighs on team spirit. The Lightning Bolts can stay in the game though. This they can use to their advantage in the event that the Chiefs defense breaks down in spots. The Chiefs are hot right now. I mean HOT with an offense that is exciting to watch. So close, but no cigar. Chiefs are taking this one without a doubt. Prime time at home does not favor the Washington Redskins. Oakland is firing on all cylinders is not helping either. Both teams have defenses that need improvement, so a shootout is what we potentially will be watching. The Raiders receiving core is better than the Redskins'. The Redskins running game cannot get started fast enough to make a difference if the Raiders get out quick. Records show that the west coast teams fair better in these away matchups. 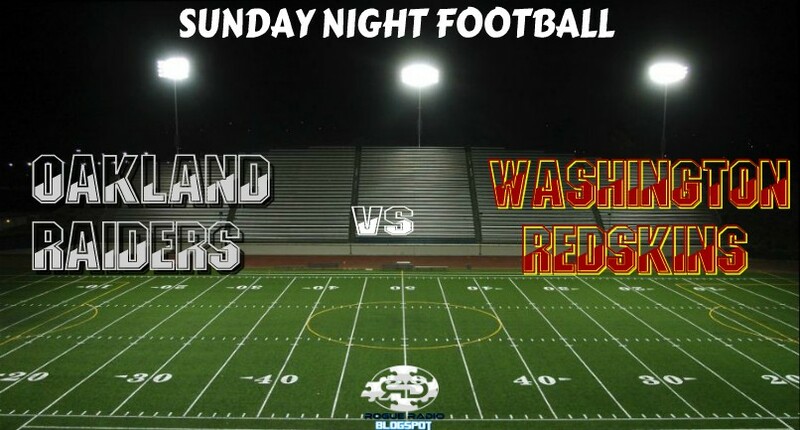 The Redskins will have a late night loss. Ladies and gentlemen, that is how I see it. Looks like the road teams will get a majority of the wins this week. But hey, your guess is as good as mine, right? When in doubt, check Yo out! Let me know what you think. Good luck to your teams and picks! Check out our other podcasts below. Happy clicking!